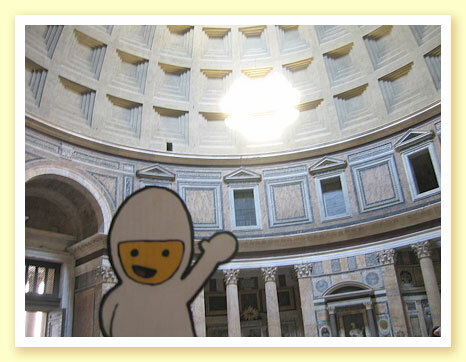 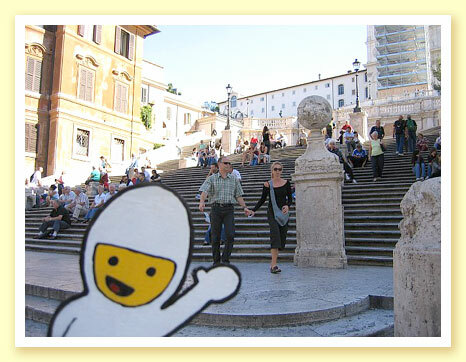 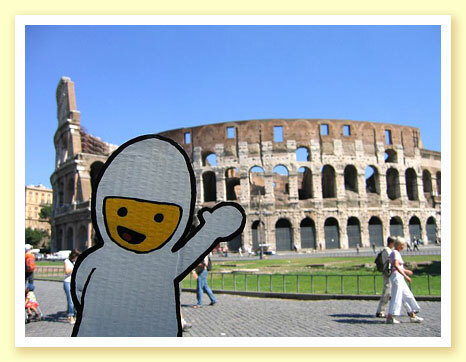 Bumperboy enjoys people-watching at the romantic Spanish Steps. 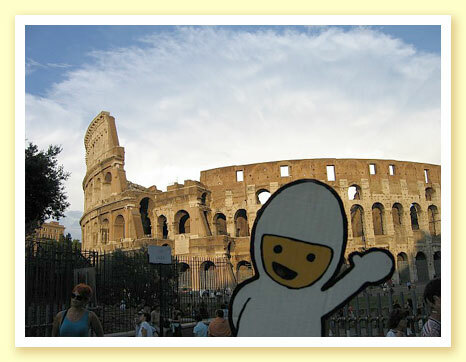 September 2006. 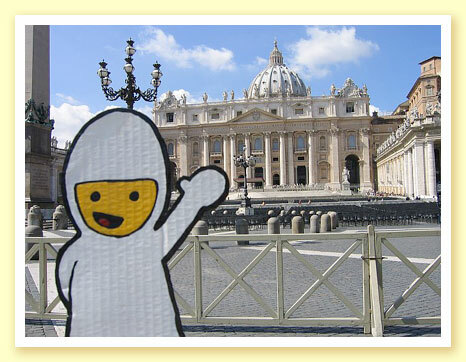 Photo taken by Christine C.
Bumperboy beats the crowds at St. Peters Basilica by arriving early to see the Pope. 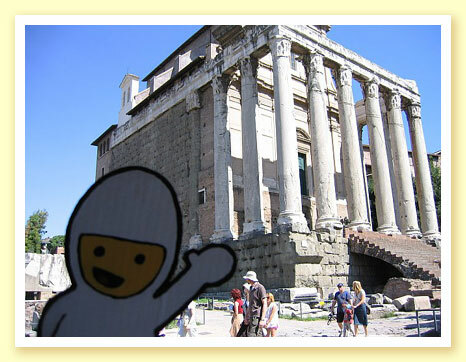 Bumperboy is impressed that this temple still stands in the Roman Forum.